English is most talked language in the world. There are many English word brain teasers which can be made using English language. One of the famous English word puzzle type is Rebus Puzzles. These are the picture puzzles which contains the hidden meaning of English word, phrase or Idioms. Other than Rebus Puzzles there are many different Word Brain Teasers on this website. 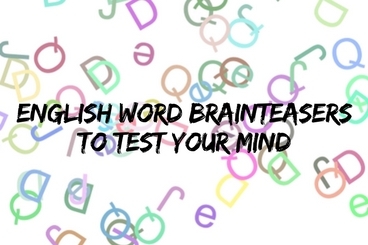 Today English word brainteasers are addition to these puzzles. Each of the Picture Puzzle Image contains one word brainteaser statement. 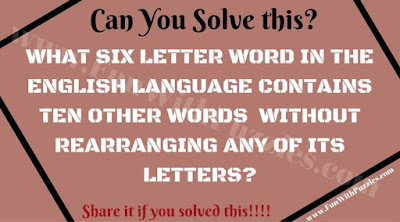 Read this statement and try to solve these word brainteasers as soon as possible. 1. 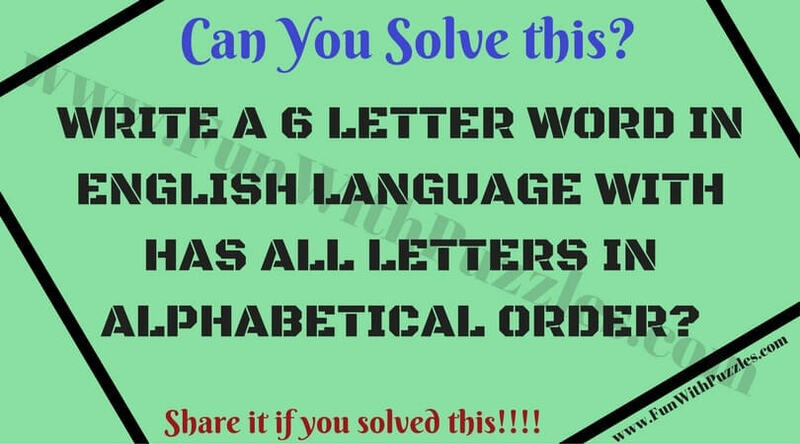 Can you solve this English Word Puzzle? 2. 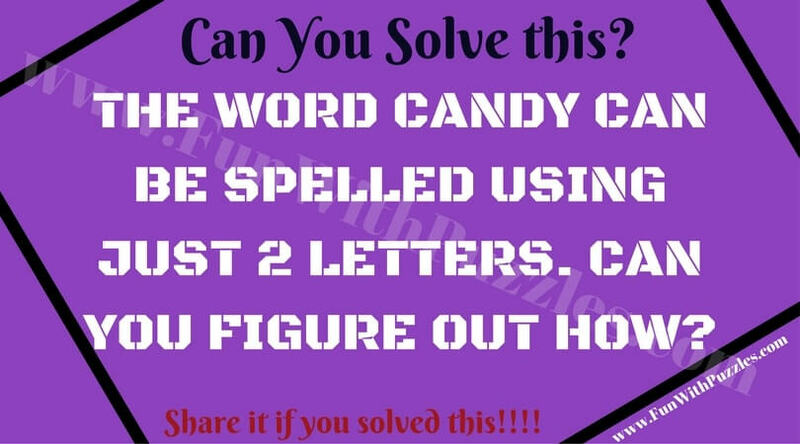 Write as many words as you can for this word puzzle. 3. Can you find this six letter English word? 5. 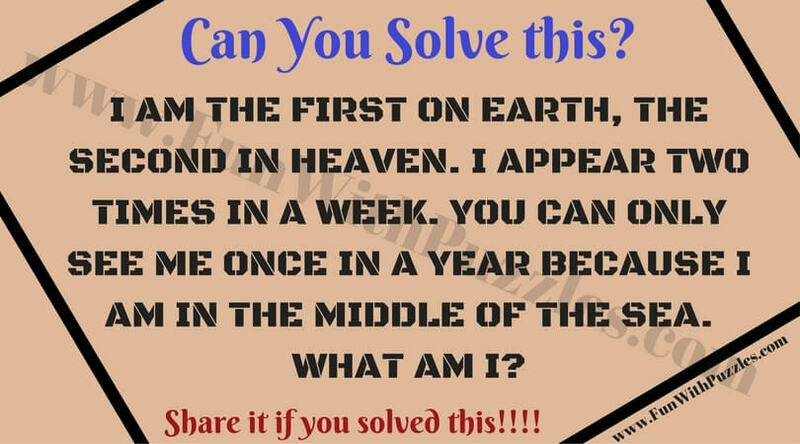 Can you find Who am I which is talked about in this Puzzle? 1. English Word Puzzles for students with answers: It contains many different Interesting Fun English Word Picture Puzzles. 2. Fun Brain Teasers to Challenge your Mind: It not only contains English Word Brainteasers but also mix of Mathematical and Logical puzzles. 3. 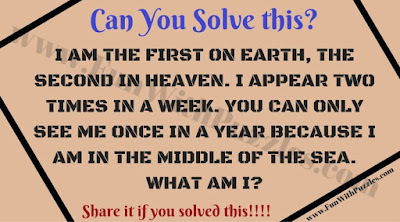 Quick Fun Brain Teasers with answers: It contains Fun Brain Teasers which you have to answer very quickly. 4. Hidden Meaning Word Puzzles with Answers: It contains Rebus Puzzles or Pictograph in which your challenge is to guess the English word from the given picture puzzle image. 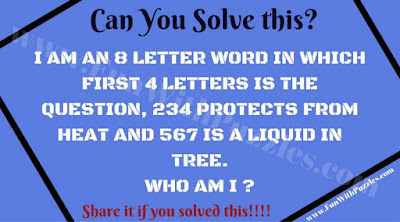 Answer of these word brain teasers are as given below. Try to solve these brain teasers by yourself and use these given answers only to verify your solutions. 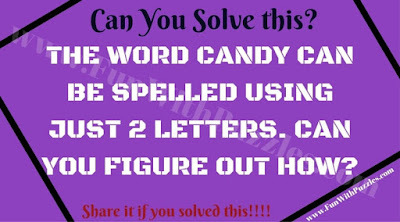 1) Candy can be spelled with C and D.
3)If you got this one you are very good in English language!